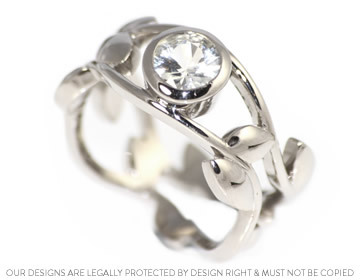 Sharon's Unique palladium vine inspired commitment ring has a lovely 6mm 0.84ct white sapphire in an all around setting. The waving double band is delicate even though its a wide band. The leaves are randomly scattered around the band.